* Ford 6.0L, F-250-F550, Manual Transmission ICP Sensor location = right side valve cover HP Pump Cover = cast iron w/ stud kit COMPLETE REMANUFACTURED HIGHWAY ENGINE WITH�ONE YEAR FACTORY PARTS & LABOR WARRANTY. * EXCHANGE� PLUS� $ 1500.00 REFUNDABLE CORE DEPOSIT FREIGHT INCLUDED IN PRICE US 48.� GLOW PLUGS & SENSORS 6 MONTH WARRANTY. BUILT TO YOUR VIN & ENGINE SN#: * ALTERNATOR, STARTER & FLYWHEEL HOUSING NOT INCLUDED. * Ford 6.0L, E-Series, All w/ stud kit LONG BLOCK ONLY REMANUFACTURED HIGHWAY ENGINE WITH�ONE YEAR FACTORY PARTS & LABOR WARRANTY. * EXCHANGE� PLUS� $ 1500.00 REFUNDABLE CORE DEPOSIT FREIGHT INCLUDED IN PRICE US 48.� GLOW PLUGS & SENSORS 6 MONTH WARRANTY. BUILT TO YOUR VIN & ENGINE SN#: * ALTERNATOR, STARTER & FLYWHEEL HOUSING NOT INCLUDED. * Truck (F250 - F550) All States COMPLETE REMANUFACTURED HIGHWAY ENGINE WITH�ONE YEAR FACTORY PARTS & LABOR WARRANTY. * EXCHANGE� PLUS� $ 1000.00 REFUNDABLE CORE DEPOSIT FREIGHT INCLUDED IN PRICE US 48.� GLOW PLUGS & SENSORS 6 MONTH WARRANTY. BUILT TO YOUR VIN & ENGINE SN#: * ALTERNATOR, STARTER & FLYWHEEL HOUSING NOT INCLUDED. * Ford, 6.7L, Long Block, On Highway Powerstroke- 2011-15. FITS: Ford F250-F550 pickup trucks. 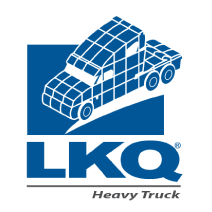 LONG BLOCK ONLY REMANUFACTURED HIGHWAY ENGINE WITH�ONE YEAR FACTORY PARTS & LABOR WARRANTY. * EXCHANGE� PLUS� $ 1500.00 REFUNDABLE CORE DEPOSIT FREIGHT INCLUDED IN PRICE US 48.� GLOW PLUGS & SENSORS 6 MONTH WARRANTY. BUILT TO YOUR VIN & ENGINE SN#: * ALTERNATOR, STARTER & FLYWHEEL HOUSING NOT INCLUDED. 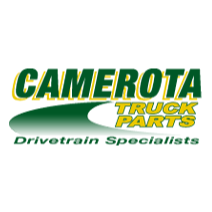 Ford / International	VT365/6.0L	International, 18mm Cyl Head Dowel Steel Oil Pan (1870677C91, 1870676C1)	Provide VIN and Pan Type	6.0L	E-Series, F-Series, FORD LONG BLOCK ONLY REMANUFACTURED HIGHWAY ENGINE WITH�ONE YEAR FACTORY PARTS & LABOR WARRANTY. * EXCHANGE� PLUS� $ 1000.00 REFUNDABLE CORE DEPOSIT FREIGHT INCLUDED IN PRICE US 48.� GLOW PLUGS & SENSORS 6 MONTH WARRANTY. BUILT TO YOUR VIN & ENGINE SN#: * ALTERNATOR, STARTER & FLYWHEEL HOUSING NOT INCLUDED. Ford Navstar VT275 engine assembly. Only 79K miles. Runs good. Turbo, ECU and bolt on accessories are SOLD SEPARATELY. We have many other parts available from this vehicle. We ship nationwide. Please call for a shipping quote or any other questions you may have. Thank you. Ford 6.0 Diesels available. Most with 110-140k miles. Sometimes lower. VAN donors, so Oil Pan, Filter adapter and Wire Harness from Pickup setup must be used to run in Pickups. Can setup as EGR delete, and Bullet-proof if desired. Call for more info.